Take a test drive. Sign up for your free trial today! Prime Call Cloud MeetMe, powered by Videxio, is an innovative and powerful web collaboration solution with feature rich content sharing capabilities that bring new ideas to life while integrating easily with everyday workflows. With quick setup and flexible subscription plans, you can buy now and start collaborating today! Outlook add-in for scheduling meetings lets you invite participants to your Prime Call MeetMe virtual meeting room (VMR) using your email and calendar software. 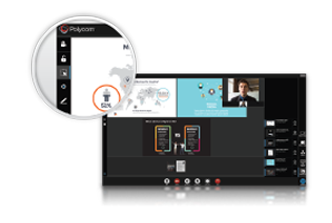 We’re here to help get you the lowest price and a highest ROI for your voice and video collaboration investments. Contact us today to get the pricing that meets your needs. Want to check out more cloud service options? Use our advanced search to find the products and services that meet your needs.